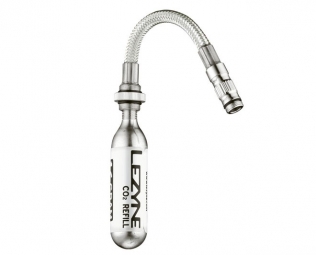 A flexible braided steel reinforced Flex Hose that is designed to be used with threaded CO2 cartridges. 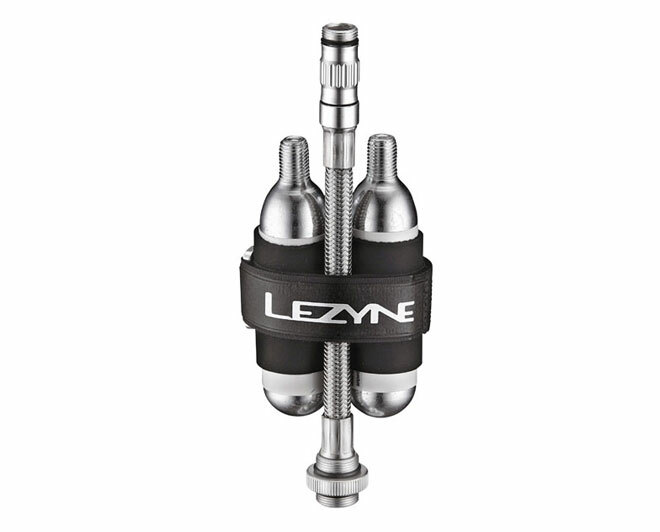 The Twist-Puncture Operation and compact Flip-Thread Chuck makes it easy to inflate Presta and Schrader valve tubes. 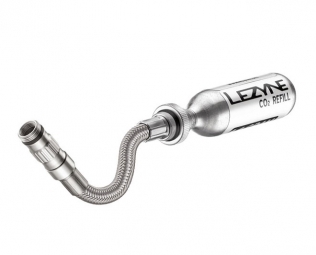 The hose comes with two 16g threaded CO2 cartridges and a neoprene/velcro strap. 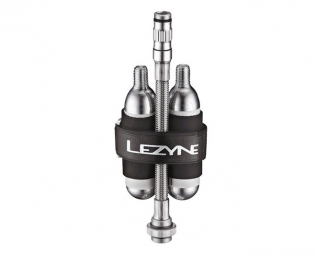 The kit easily fits in most packs and jersey pockets. It is not compatible with ABS.